Cluster headache and migraine are distinct primary headache disorders that are associated with substantial pain and disability. 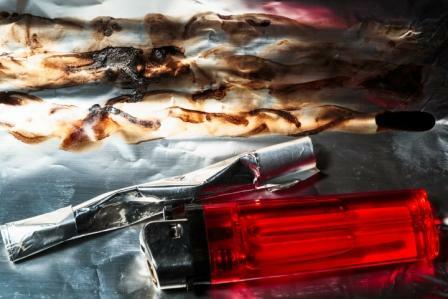 “Chasing the dragon” is an increasingly popular method of heroin inhalation among drug users. Geoffrey Littlejohn, MD, provides a clinical perspective on the pathophysiology of fibromyalgia and the role of neurogenic inflammation in the disease process. Early intervention in the case of respiratory compromise in patients with multiple sclerosis has the potential to prevent infection and maintain pulmonary function. Genetic and Imaging Markers in Migraine: Ready for Prime Time? Benefits of migraine markers include facilitating diagnosis, monitoring treatment, and discovering more about the pathogenesis of the disorder. Benzodiazepines increase risk for pneumonia-associated hospitalization, mortality in patients with Alzheimer disease. Infection with the flu or receiving the flu vaccine during pregnancy was not linked to autism in offspring. Mitochondrial metabolism is one of the pathways affected in chronic fatigue syndrome. A patient with a baseline pain score of 60 on a scale of 0 to 100 would be expected to have a pain score of 45 after a non-acupuncture intervention; 35 after a sham acupuncture intervention; and 30 after true acupuncture.